BB cream, also known as Blemish Balm or Blemish Base, is a cosmetic item sold in Korea. 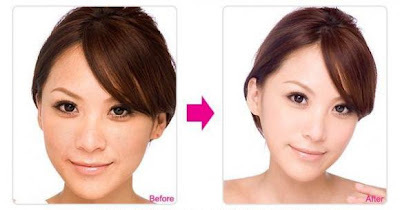 BB cream started out as a therapeutic moisturizer in Germany used to treat the irritated skin of the patients who went under peeling, laser, or microdermabrasion. There are several BB Cream brands such as HANSKIN,Skin79, Skinfood, BRTC, Missha, Dr Jart but all products have slight differences in properties, ingredients, smell, texture and oil control. • Some BB creams have additional features such as wrinkle improvement, whitening functions etc. 2. Now, ask yourself what are your needs. For example: acne reduction? brightening? sunblock? stronger oil control? caricaturisation? more coverage? etc. 3. Now, shortlist or select the most suitable/ideal BB cream for yourself. I like reading your posts. Keep up the great work! You understand, many persons are hunting around for this information, you could aid them greatly. like your writing style, excellent information, thankyou for posting "
intext:"I really like your writing style, excellent information, thankyou for posting ! I lIke you artikel style thanks you very much"
I Like Your Style Desain Thanks You Very Much::"
The extensive range of bb cream we offer will certainly bring a glow to your complexion resulting in a younger, vibrant and more radiant looking skin. Wait no longer. Try it to believe it! See the difference in you today! 1. 100% money back guarantee.We believe in our products so much that we back it with a full money back guarantee if you can prove that it is not original. 2. Our stock DIRECTLY IMPORTED from Korea manufacturer without go through 3rd party. 3. We provide CHEAPER price compared to market retail price. 5. Wholesalers are welcome as we will give SPECIAL DISCOUNT for bulk purchase. Feel free to contact us should you have any other inquiries! Feel free to contact us should you have any other inquiries!